It has been a tough road thus far for the audacious Jocelyn “Josh” O’Roarke. Every time she feels like she’s moving up in the theater world, her life is derailed by a murder. Now, she is about to make her big move with her directorial debut Off-Broadway. Even better, it’s a revival of Major Barbara—a surefire hit. It seems nothing could go wrong—until stage veteran Burton Evans collapses on stage during a preview, apparently from a heart attack. As the director of the play, Josh must get to the truth. Despite Evans’s kindly exterior, he was hiding a history that gave several people motives for murder. Could he have been killed for his sizable inheritance? Perhaps someone objected to his testimony to the House Committee on Un-American Activities in the 1950s? Jocelyn O’Roarke needs answers if the curtain is ever to go up on her debut. 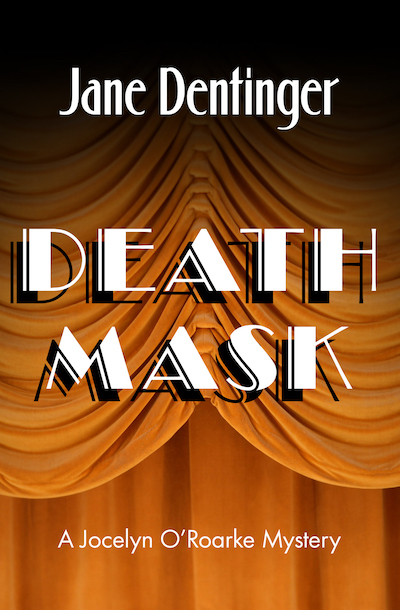 Death Mask is the third book in the Jocelyn O’Roarke mystery series, which begins with Murder on Cue and First Hit of the Season.